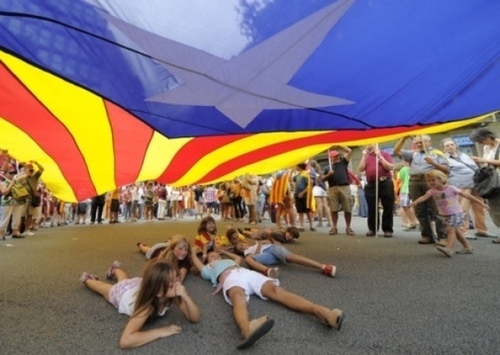 Up to one million people are expected to join a pro-Catalan independence rally tonight in Barcelona called under the slogan “Catalunya: a new European state”. Spain’s economic woes have helped to transform what was a minority tendency into a mainstream political movement. Recent polls show 51 per cent of the region’s population back independence, twice as many as when the economic crisis hit six years ago. The groundswell of support has caught the ruling nationalist CiU party off guard. The CiU, which has governed Catalonia for 25 of the 33 years since democracy was restored to Spain, has never aspired to independence and preferred to play the kingmaker with minority governments in Madrid in return for greater autonomy. With a right-wing government with an absolute majority installed in Madrid, the CiU has been reduced to bleating from the sidelines.